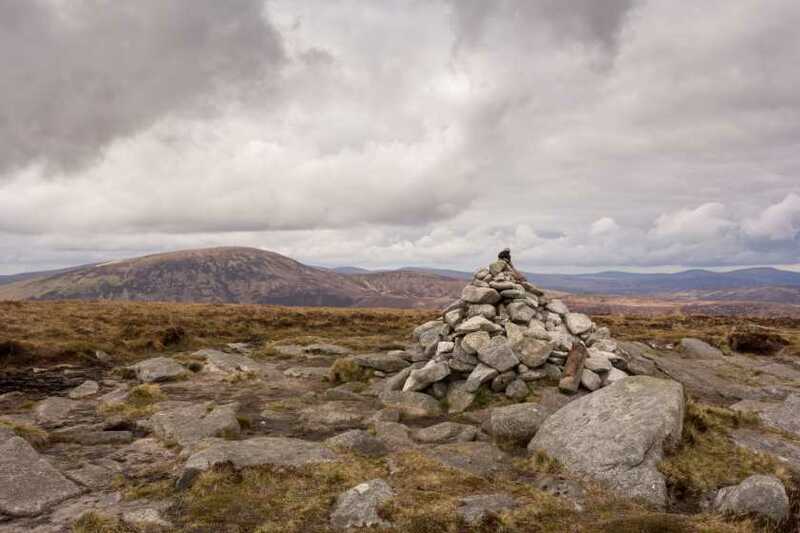 Camaderry Mountain is the 116th highest place in Ireland. The walk up and across the SE Top and the main summit of Camaderry was good underfoot with little bog or marsh, if the weather was better I may have stayed at the top longer to get some photos but it was overcast and darker than hoped. After short break some food and drink and feeling refreshed, coming down from the top toward Turlough hill reservoir is where the real challenge began trying to safely navigate the boggy marsh and avoid the holes in an effort to locate the Glenealo river and follow it to the Spinc trail.